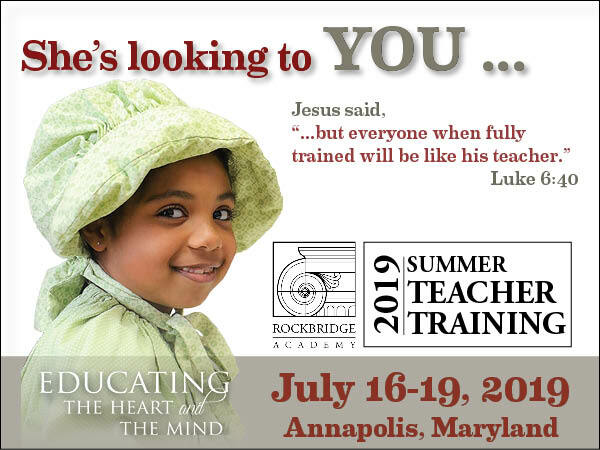 Rockbridge Academy is pleased to be sponsoring our annual, ACCS endorsed Summer Teacher Training again this year, Tuesday-Friday, July 16–19. Download our brochure for more details! Since 1995, Rockbridge Academy has placed a priority on training teachers in the art and practical skills of teaching through a classical and Christian framework. Come be refreshed, find encouragement, renew your vision, and acquire or improve your skills as classical and Christian educators and administrators. This training is endorsed by the Association of Classical Christian Schools, and certificates will be distributed at the conclusion of the training. Registration is now open. Fees, which have not increased for over 5 years, are as follows: $275 per person for groups (3 or more per school) registered before June 28, 2019, and $290 per individual registrations made prior to June 28, 2019. After June 28, the cost of registration is $320 per person. Location: Bay Area Community Church, Annapolis, MD with a special Thursday session at nearby St. John's College (est. 1696 as America's third oldest college) in the historic downtown of Annapolis, MD. Daily plenaries and seminar-style workshops. Lunch included on first day of training; option to buy lunch on second day. An extended 7-Laws Practicum session. 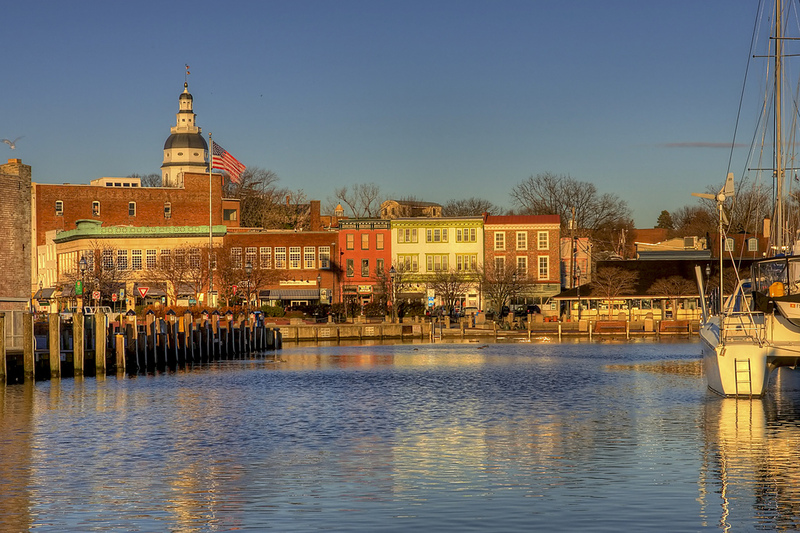 Integrated colloquium day in historic Annapolis. Afternoon social on Thursday at St. John's College; light refreshments provided. Block of rooms reserved at Country Inn & Suites in Annapolis, only 2½ miles from the new training location. All registration handled online (see below). We look forward to seeing you at Summer Teacher Training in July! Be refreshed and inspired as we take advantage of the historical surroundings and local liberal arts tradition at St. John’s College, one of America’s oldest and most vibrant classical programs. St. John’s College, in the midst of Annapolis’ colonial downtown, has been a fertile resource for Rockbridge Academy faculty, many of whom have received advanced training in the classics through the years. We will start with the morning’s plenary in the beautiful Great Hall (c. 1742), followed by discussions in the adjoining historic seminar rooms. Curated self-guided tours of downtown will allow for lunching in town and an afternoon stroll through the many historical sites available. We will reconvene at 4:00 PM back at the St. John’s campus boathouse for an afternoon social, including light refreshments with Rockbridge Academy faculty, before folks break for the many dinner venues Annapolis offers. The deadline for all registrations is July 12th. Registration fees must be received by June 28th to receive the discount. I thoroughly felt I learned so much. I am so blessed to have had this week to gain knowledge. I can hardly wait to implement what I learned (and was reminded of) this week. I'm already looking forward to attending again next year - Lord willing! Thank you so much for your time and effort and your generosity in giving this outstanding training! I appreciated how accessible the staff was for conversation. Very well done. This was my first classical education teaching conference and I leave here more prepared to teach. I particularly found Mrs. Krmpotich's lesson structure of "classwork, homework, assessment" very helpful.